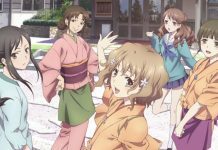 Many of the top anime that debuted in the Spring is now over and a slew of new shows are just starting. Most of them are completely terrible, but there are number that are actually really solid. Today, we look at the top 10 new anime to debut on Funimation and Crunchyroll. Actually, I am – Asahi Kuromine is a high school student who supposedly cannot keep a secret. One day he spots his crush Yoko Shiragami, unfurling a large pair of wings from her back. She explains to him that she is a vampire and is only able to attend a normal school on the condition that no one discover her true identity. Asahi swears to keep her secret but finds it hard to maintain seeing as how Yoko herself is an airhead and Asahi’s friend Mikan keeps bullying the two of them. Eventually, he discovers more girls in his school with secrets of their own: a tiny alien who rides a human-sized exoskeleton of herself, a werewolf capable of switching gender at any depiction of a moon, a thousand-year-old demon who secretly runs the school, and more who pose a challenge as Asahi tries to keep Yoko’s secret. Gatchaman Crowds – “Gatchaman” is the general term for warriors who wear special power suits called NOTE, which are manifestations of special spiritual powers possessed by living beings. The Gatchaman force on Earth consists of aliens who have been dispatched by a council and Earthlings who have been scouted for their latent abilities, all of whom work together to protect Earth’s people and resources from alien criminals who have invaded the planet in violation of the probation enforced by the council. Most recently, their main duty is dealing with MESS, a mysterious entity about which even the council has little knowledge. 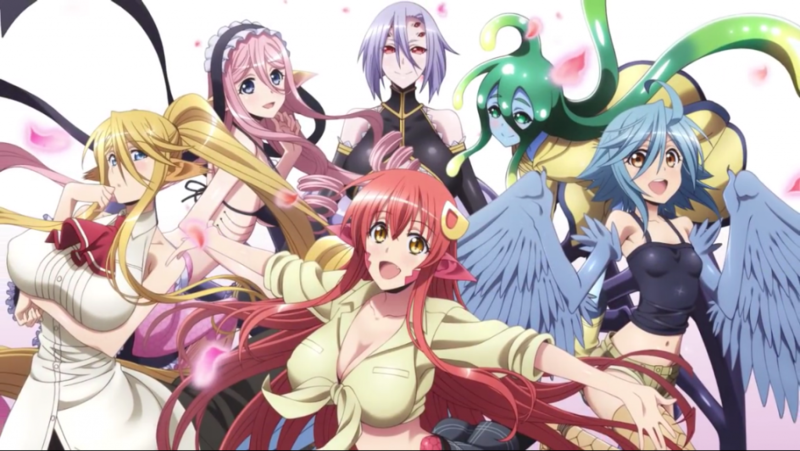 MONSTER MUSUME EVERYDAY LIFE WITH MONSTER GIRLS – Three years ago, the world learned that harpies, centaurs, catgirls, and all manners of fabulous creatures are not merely fiction; they are flesh and blood – not to mention scale, feather, horn, and fang. Thanks to the “Cultural Exchange Between Species Act,” these once-mythical creatures have assimilated into society, or at least, they’re trying. GANGSTA. – In the city of Ergastulum, which is run by four crime families, a pair of “Handymen” provide a service doing dirty jobs for anyone who calls and hires them. A fifth power tries to gain a foothold within the city. 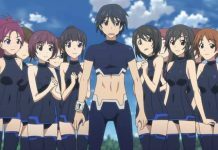 Sky Wizards Academy – Forced to retreat to floating cities due to an invasion of magical armored insects, humanity must now depend on Sky Wizards to battle the menace via mid-air battles. Once known as the “Black Master Swordsman,” Kanata Age is now considered a traitor and is assigned to lead an F-class of mismatched mages. Misora Whitale has all the enthusiasm to be a leader, but she’s failed 100 consecutive tests. Rico Flamel is a genius sniper, but she’s a little self-absorbed, and Lecty Eisenach is a candidate with all the ambition but zero confidence. It’s up to Kanata Age to train the troubled trio to become accomplished Sky Wizards. Chaos Dragon: Sekiryuu Senyaku – The story takes place in Huanli (the Year of Dazzling) 3015. Donatia and Kouran, two countries fighting for supremacy, are causing the world to be torn apart due to the constant war. Amidst the strife is the island country Nil Kamui, which has lost its independence. Red Dragon, the guardian god of Nil Kamui, goes out of control. Will the island country be able to regain its independence? Classroom ☆ Crisis – Fourth Tokyo–one of Japan’s new prefectures on Mars. Kirishina City, Fourth Tokyo’s special economic zone, is home to the Kirishina Corporation, an elite corporation renowned for its aerospace business. 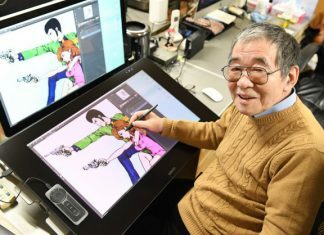 The company has been expanding its market share in various industries, while also running a private school, the Kirishina Science and Technology Academy High School. That alone would make it unique, but there’s also a high-profile class on campus. 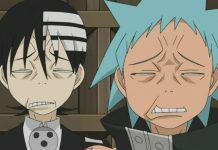 Sotaku is your anime news & entertainment website. We provide you with the latest breaking news and videos straight from the anime & manga industry.You can also enjoy articles & reviews on manga, cosplay, anime games,otaku lifestyle and more! All images are copyrighted to their respective owners. All content cited is derived from their respective sources. If you believe we have used your copyrighted content without permission, send us an email at [email protected] and we will remove it immediately. © 2013-2018 Sotaku.com. All rights reserved.